N.C. Cooperative Extension is offering two crash courses in healthy cuisine this winter. 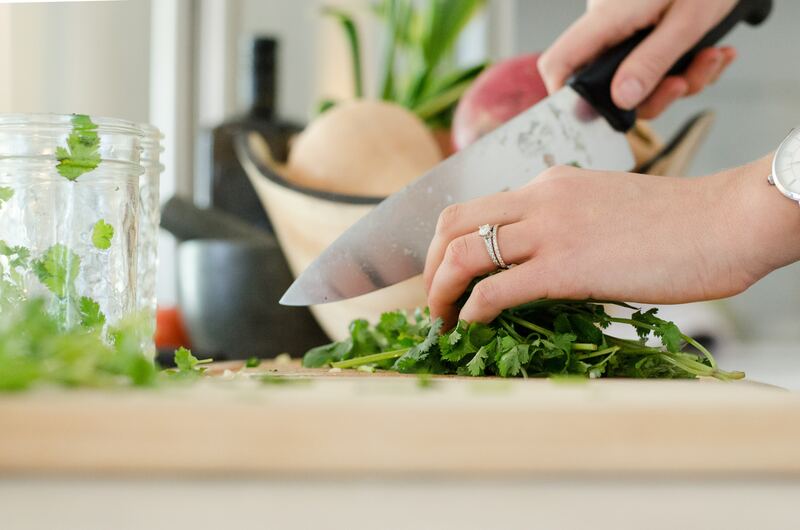 These hands-on cooking classes will expand your idea of healthy cooking. Learn about cholesterol and carbohydrates and their effects on your body, and leave with the confidence to create delicious meals that are also good for you. Low-Cholesterol Cooking – Cancelled due to lack of participants. Low-Carbohydrate Cooking -Class is full, please call 232-2261 if you would like to be added to waiting list. Are you interested in the low-carb diet trend? Or are you just looking for new healthy and delicious ways to prepare your food? Join us on March 13 from 10 a.m. to 1 p.m. for easy and delicious tips on preparing low-carb dishes that are sure to please. Many people can benefit from this style of eating and it can be great to change up your normal menu with some new dishes. Class fee is $15.00. Seize the opportunity to join us by registering online or by contacting the office at 252-232-2261. Class size is limited and reservations are confirmed upon receipt of class fee. Payments can be made in person at the N.C. 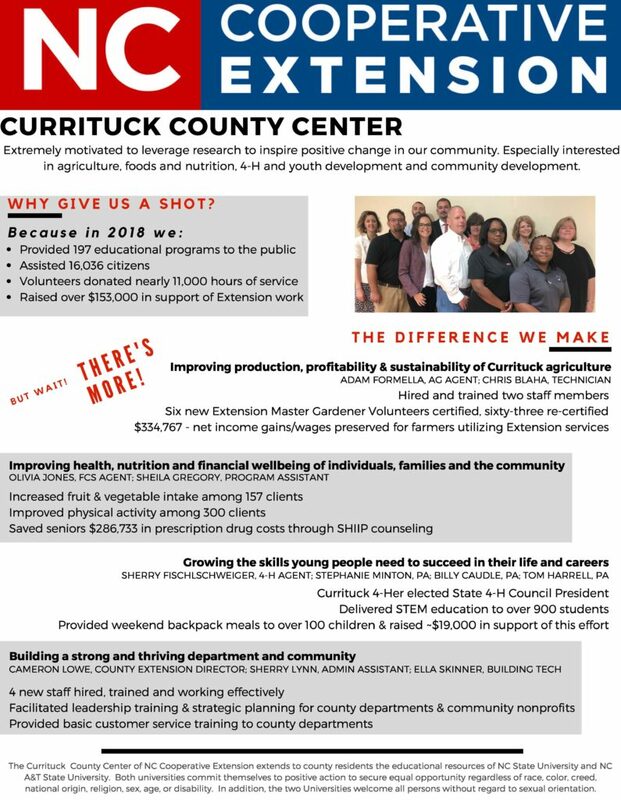 Cooperative Extension, Currituck County Center or by mailing a check made payable to “Currituck County” to 120 Community Way, Barco, NC 27917. Please include in the memo line the name of the class(es) you wish to attend. For a complete list of upcoming cooking classes visit the What’s Cooking Currituck page. For more information or accommodations for persons with disabilities please contact Olivia Jones at 252-232-2261 or by email olivia_jones@ncsu.edu no later than ten business days before the event.